Now here’s a thing for the style purists: a quite literal mash-up of Camden Hells Lager and Odell Cutthroat Porter into a 7% black monster. Black Lager Porter? Blagorter? Anyway, this hybrid madness was being brewed at Camden Town Brewery on Friday. I went down for the afternoon, and whatever it is they’re brewing, it smelled pretty amazing. Doug Odell himself was in the building, and might be the nicest brewer anyone has ever met. Some American craft brewers come across as suspiciously PR-slick or boisterously brash. Doug has the persona of a kindly uncle, happy to crack open a beer and talk shop with people he’s barely known five minutes. Anyway, for those of you still trying to get your head around the Blagorter concept (and I include myself in that group), you can get a first taste of the finished beer at the end of June. After all, it is partly a lager, so it needs a good six weeks in tank to mature properly. 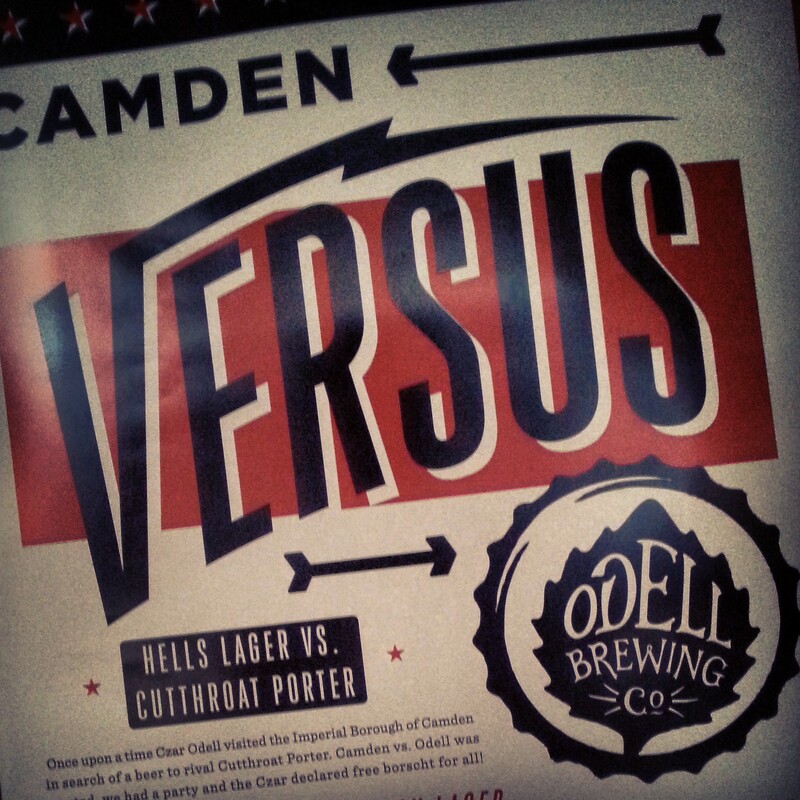 Given how excellent both Odell and Camden’s beer are, I suspect that this will be something very special, and will sell out very quickly. Back in the brewery bar, there was even more excellent beer available than usual. Odell IPA, Lugene milk chocolate stout, Myrcenary Double IPA, 5 Barrel Pale Ale and more besides were in the fridges, whilst a keg of Odell’s Friek sour was put on tap against Camden’s own King Crimson. Friek is a sensational wild ale that is both raspberry tart and strawberry sweet. King Crimson meanwhile had a sublime, wine-like texture, and a rich, smooth body of red fruit and sourness that made it far easier to drink than it had any right to be. After ordering another mind-bendingly delicious Boss Hogg from the Dogfather stand outside (I don’t have a problem, okay? ), I thought it would be rude not to try a couple of other Odell beers. The Five Barrel Pale Ale washed the hot dog down nicely, working almost like liquid Turkish Delight to sooth the heat and enhance the sweetness of relish and spice. 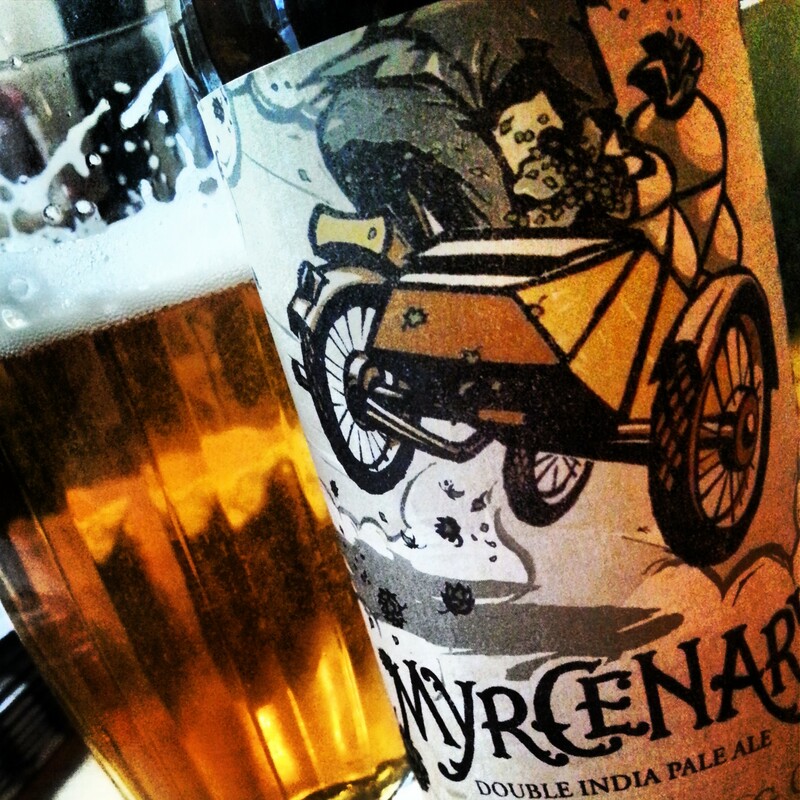 After that, the exquisite Myrcenary IPA, named for its recipe designed to include the highest amounts of bitterness compound Myrcene, cleansed my palate with its indulgent, oily-slick combination of pine and pith. It also has a fantastic label – one of my all-time favourites – depicting some kind of Olde Timey hop robber making his getaway on a motorcycle with sidecar. 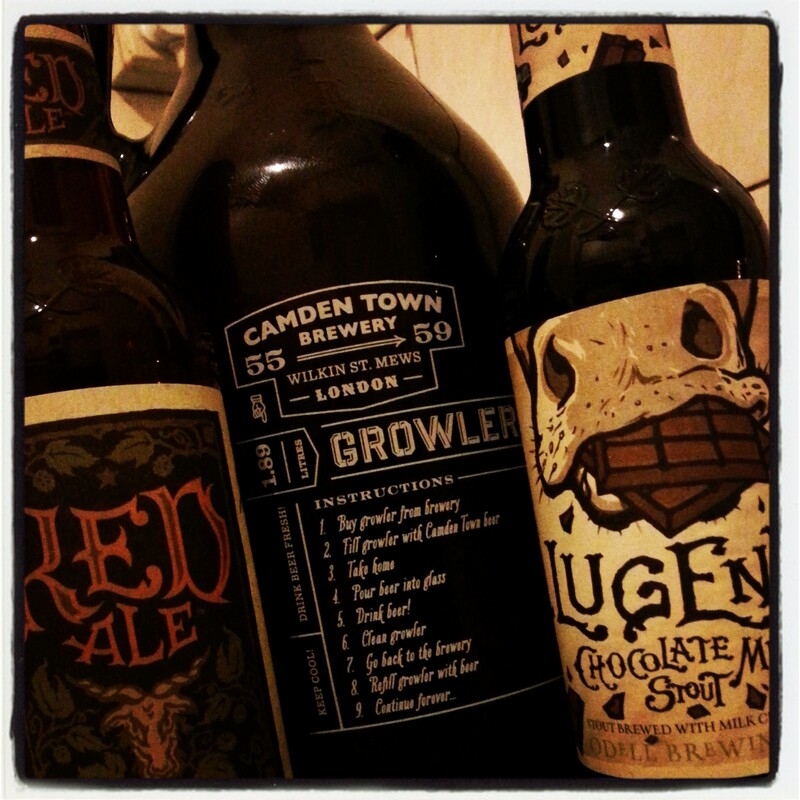 I also got some bottles to take home: a bottle of the Lugene milk chocolate stout and the tasty-looking Red Ale. And, naturally, I filled my Gentleman’s Beer Conveyance with USA Hells. I’ll put up reviews of those bottled beers later in the week.